Thursday evening I came home from work, anxious to see the responses I had received after officially announcing just that morning that our family will have a new addition scheduled to arrive in April 2016. 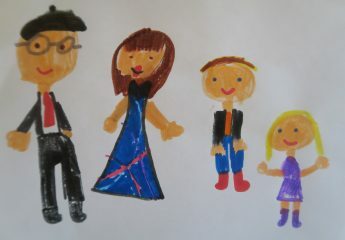 But before I could make it to the laptop, my wife informed me that we had received a package from Annie’s Homegrown! It’s funny because before I even opened the box, I sensed what was inside, and I was indeed correct. 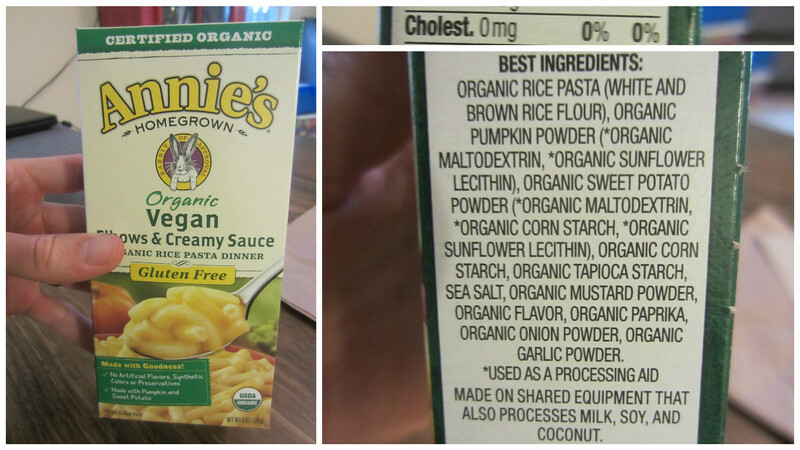 No one from Annie’s had ever told me they were working on “vegan mac and cheese” but I had a feeling they were; as they are keen to cater to organic, plant-based demographics like my family. 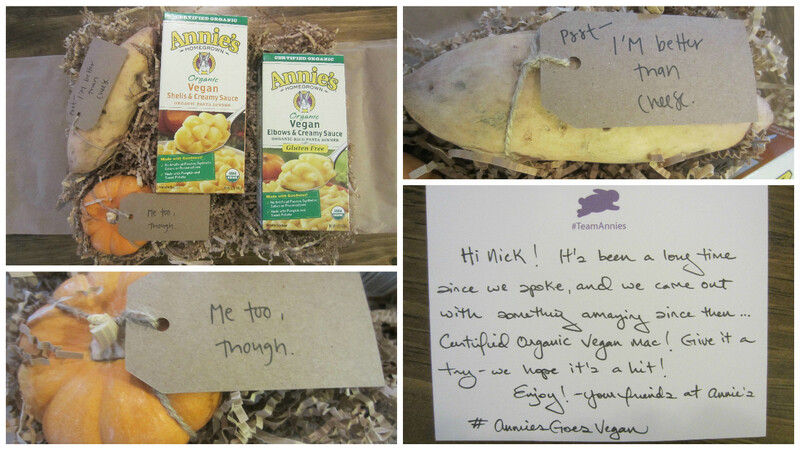 When I opened the box, there was a potato and a pumpkin with special messages for me. A box of Annie’s “Organic Vegan Shells & Creamy Sauce”, as well as their “Organic Vegan Elbows & Creamy Sauce”, which is made from rice. Both options are made with pumpkin and sweet potato. Here’s a reminder about vegan food: It contains no cholesterol. It may contain fat, but when you look at the cholesterol percentage, you’ll never see more than 0% on the label. 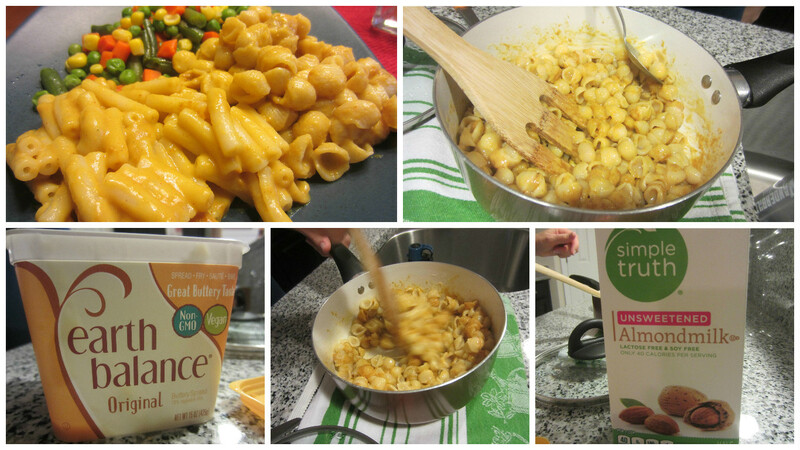 Some other things that make Annie’s vegan organic pasta dinners special compared to the average “mac and cheese” dinners is that these contain no artificial flavors, synthetic colors or preservatives. I’m the vegan of our family (my wife and son are vegetarians) and I must say it sure was nice being able to eat mac and cheese for both dinner Thursday night and lunch on Friday. Consider this: I’ve been a vegan for exactly 2 and a half years as of this week. That means no mac-and-cheese for that whole time for me… until now. 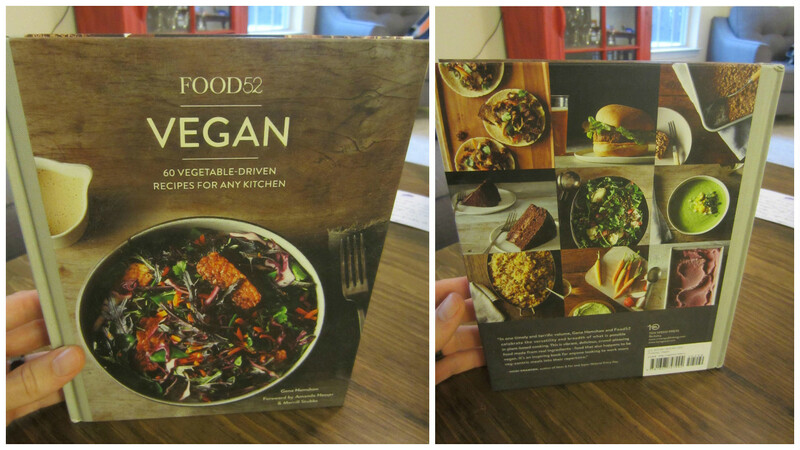 My wife was very delighted to see Annie’s had also sent a very nice vegan cookbook; as my wife is by default, a vegan chef. After all, she’s now exclusively been making vegan meals every day for our family for the past 2 and a half years. 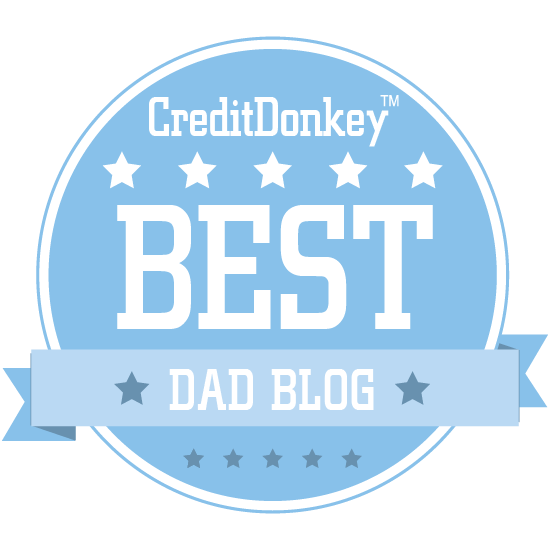 It just so happens we are planning to launch a spin-off of Family Friendly Daddy Blog, which will feature my wife’s journey of “baby #2”, who is currently 12 weeks old inside the womb. My wife plans to also focus on cooking vegan meals as well. 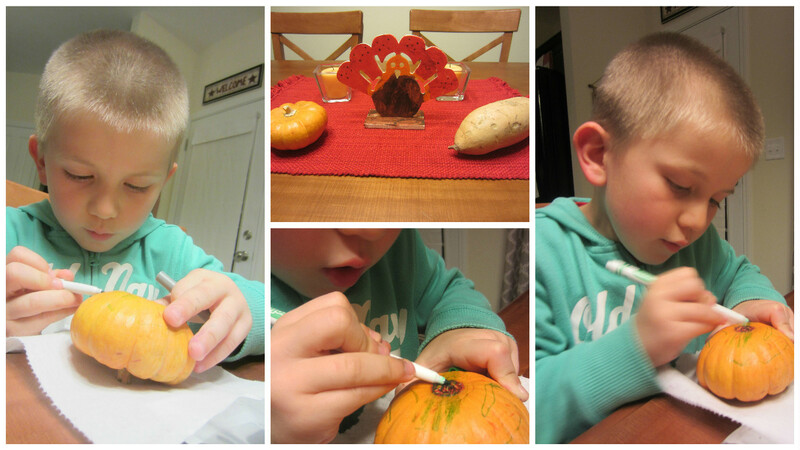 Our son Jack was happy because he took it upon himself to decorate the pumpkin that Annie’s sent us.